A Texas man who entered an abandoned home to smoke marijuana on Monday found a tiger in the garage, authorities said. 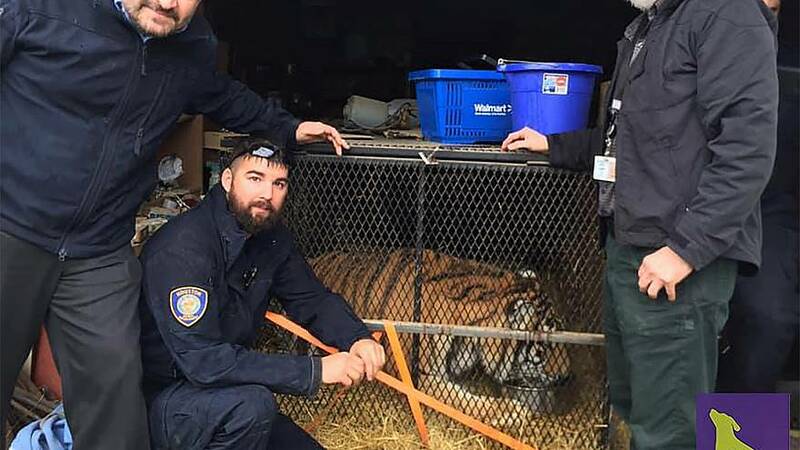 The man, who was not identified, initially believed he was hallucinating when he found the female tiger in a "rinky-dink" cage, police said, according to the NBC affiliate KPRC. The garage, in a home southeast of central Houston, was secured only with a screwdriver and a nylon strap, the station reported. 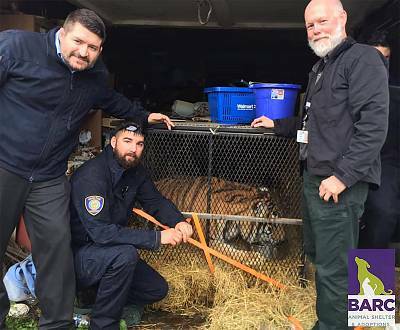 Images from Houston's animal control agency showed three officers preparing to move the animal to a secure location. An agency spokeswoman, Lara Cottingham, told the Houston Chronicle that a wildlife refuge would take the tiger on Tuesday.